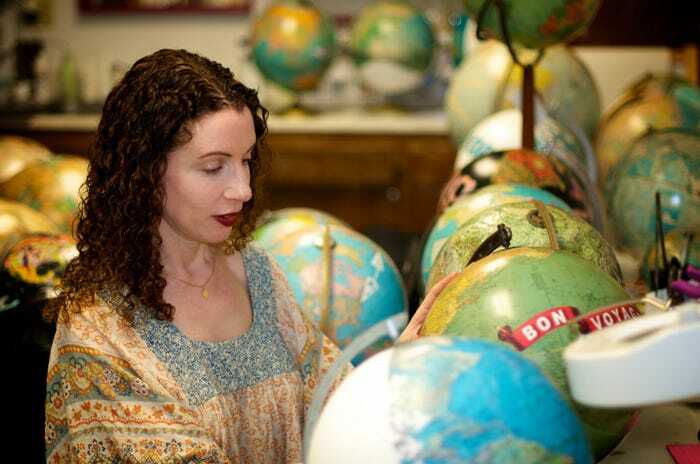 In early 2010, Wendy launched ImagineNations™ and brought her unique brand of design to the canvas of world globes. 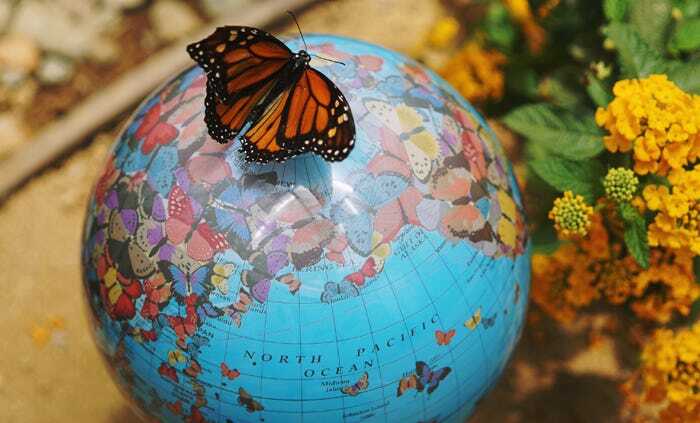 By using recycled materials and vintage globes, she creates beautiful works of art, and brings a new touch of earthly responsibility to her work. Wendy has built upon her ImagineNations™ brand by offering a line of recycled, hand-signed and numbered lithographs, wood bound canvas maps, and push pin maps, featuring her designs interplaying with vintage world maps. 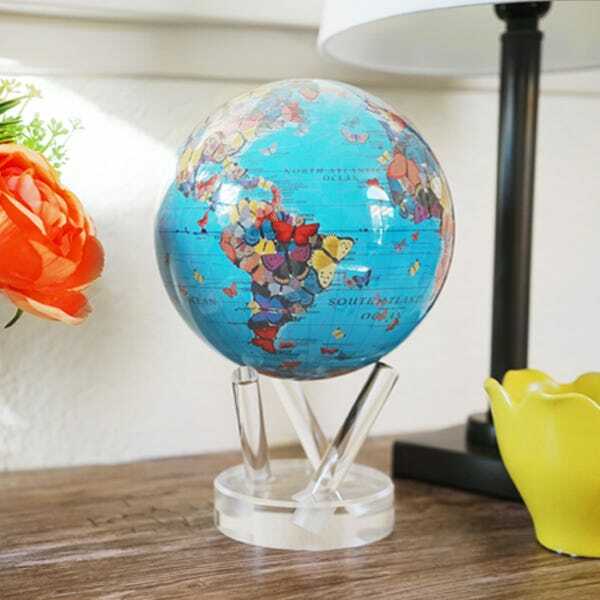 In 2014, Wendy continued spreading her world visions, by licensing her artwork to adorn travel journals, note cards, puzzles, and of course, decorative globes. 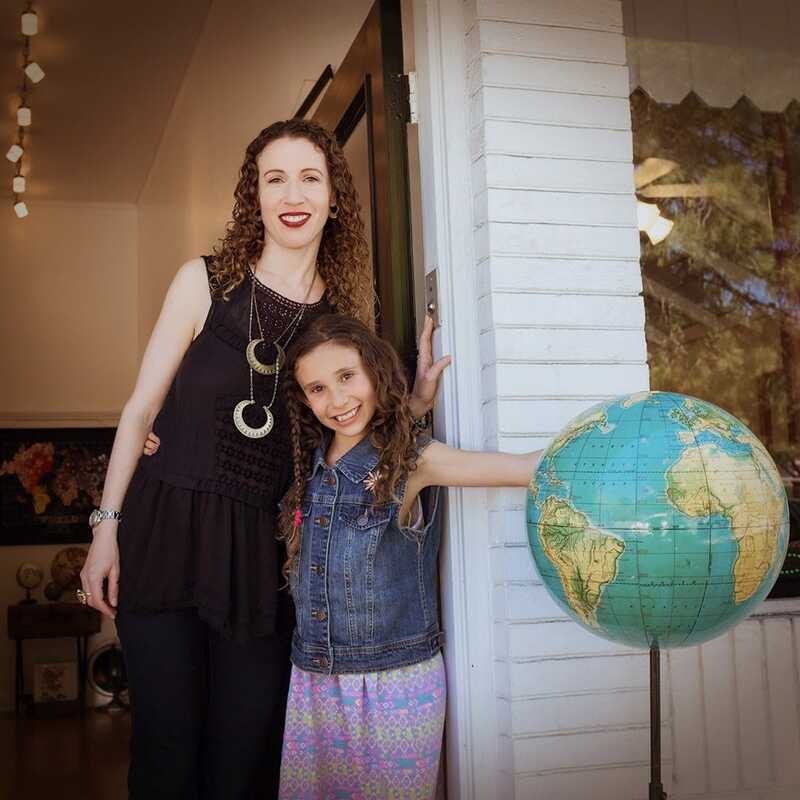 2016 brought the grand opening of “ImagineNations” brick and mortar studio/storefront in San Anselmo, CA. 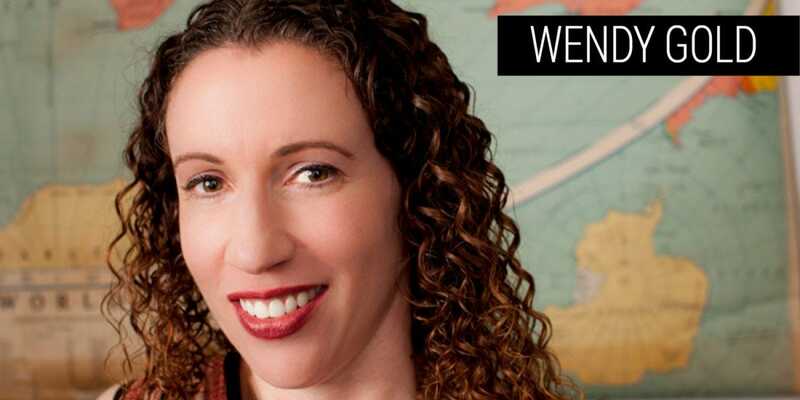 This gives customers a unique opportunity to interact with the artwork and work directly with Wendy to pick out and design the world of their dreams. When were you first introduced to art? Who taught you? As a kid, my favorite babysitter always had fun arts and crafts projects set up for me to be creative with. What themes are present in your artwork? Travel, adventure, beauty of nature, beauty of ephemera from other eras. I think it reflects my whimsy and the unique way I see the world. What about your technique stands out from other artists? I enjoy decoupaging on canvases that move because I like to tell stories in motion. Sushi, green tea, and Grateful Dead. Step away and revisit later. Most of the time, I just need to look at the piece with fresh eyes to see the issues. Also, visual stimulation of all kinds. I’m always looking for inspiration. Andy Warhol. He is so interesting and a genius. Yes. Sometimes I have to start over because I’m not happy with how the patterning comes together. If you had to paint only one subject for the rest of your life, which would you pick?